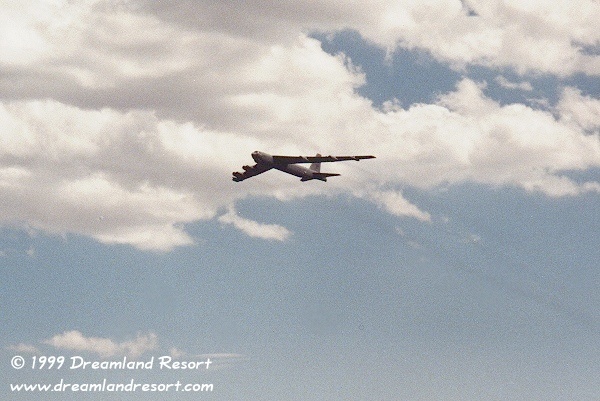 Aerial refueling operation, seen from Powerlines Overlook on 07/30/1999. 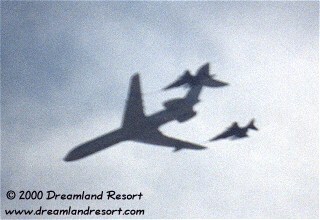 A British Royal Air Force Vickers VC-10 is refueling two RAF Jaguars. 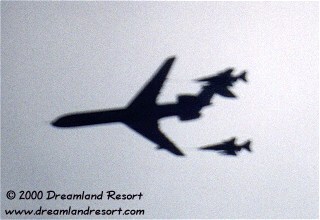 Photos taken by Bill Whiffen with a 500mm lens. 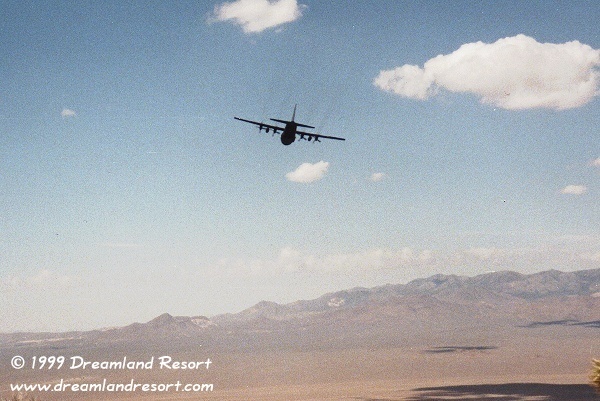 Mobile Avenger SAM Sites in Railroad Valley, near Cedar Pipeline Ranch during Red Flag on 08/02/1999 and 08/03/1999. 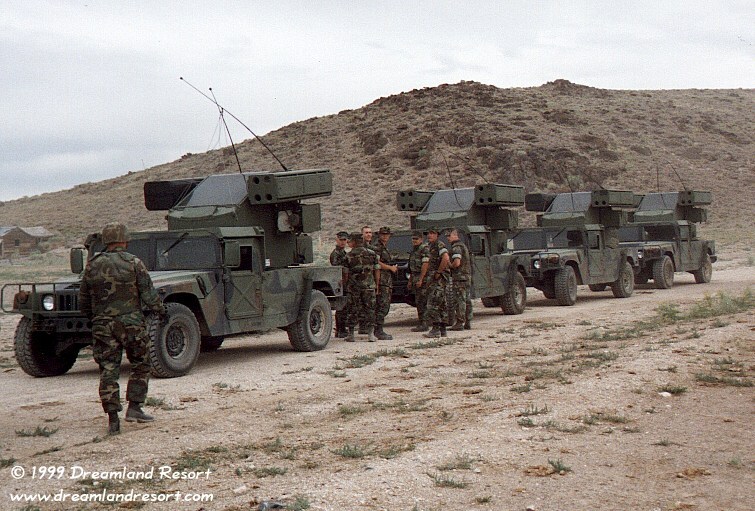 The Avenger SAM system is a mobile adaptation of the battle-tested Stinger manportable SAM system. A total of 8 missiles are housed in the launcher, which also contains an infra-red sensor and cannons for secondary firepower. 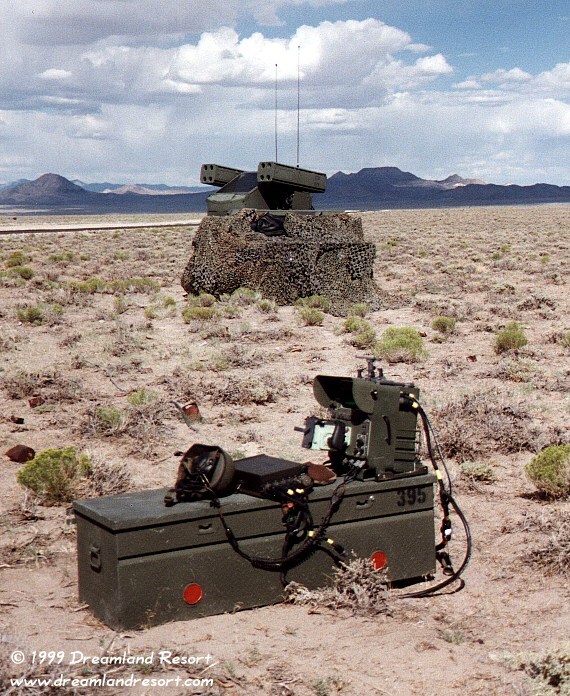 The missile contains an IR sensor for tracking, and a UV sensor to counter IR countermeasures. Range: 2 miles; speed: Mach 2; warhead: 12 lbs, smooth case fragmentation.